South African are panicking and holding their breaths while international markets decide our country’s fate. We have recently been thrown with words such as non-investment grade, junk status and downgrading. But what does it really mean? Why the junk status and where does it come from? There are three international rating agencies including Fitch, Standard & Poor and Moody’s Investment Services. These agencies monitor countries’ GDP growth, budget and bank account insufficiencies to evaluate if the relevant country’s economy is worthy of credit and investment. If we look at the South African economic situation, a few factors are highlighted as contributors to the above-mentioned agencies’ dismal evaluation and possible decision to downgrade our economic status; the devaluating rand, instability in the mining sector, political turmoil as well as the recent protests at tertiary institutions. What will happen when a downgrade is announced? When downgraded, it will cost the South African government more to borrow money in global capital markets. Currently, South Africa has a budget shortfall, which means we are spending more than we earn and will need to continue borrowing. The problem is that these international loans are charged at a higher interest rate for junk status countries – a cost that is passed on to the public to carry in the form of higher interest repo rates. The immediate effect will be that your bond will cost you more. Tax rates will most probably also increase. The government’s debt will end up costing more and more and the only way to pay it off is to increase its “earnings” via taxes in various forms. Junk status will inevitably bring about tougher financial times. Write down your income and in another column, your expenses. Make a note of your essential living expenses as well as your nonessential expenses. Adjust your non-essential expenses to only include one or two items every month –take out a cheaper package for your DStv or cancel your account; cut down on smoking and drinking to save money and don’t get regular takeaways. Ask your fellow employees if they could join you in a carpooling club. 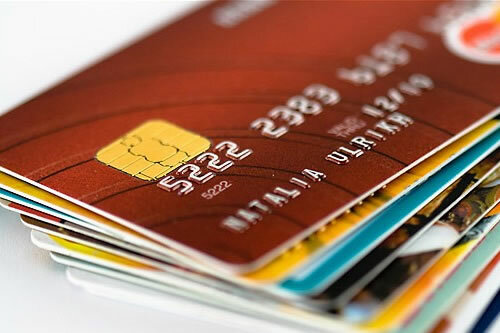 Don’t use your credit card – only pay for things in cash or with your debit card. Stay positive and remember that this will not last forever and our economy will get better!